You must be a member of the Mexico City Sports Fans Group to attend this activity. Would you like to join this group? 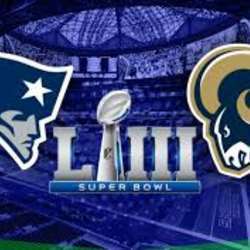 Once again with the collaboration of the Cocktails, Wine & Spirits Group, we will spend together the most expected Sunday of the year: Super Bowl LIII! This year, the event will be in a charming new gourmet market that offers a wide variety of cuisines and drinks. Each person will pay only what they order. Besides, the venue will have some SPECIAL PROMOTIONS just for the Internations gang. Expect more details soon!